I have always loved the poorly named Great Basin of the Western United States. Yes, its maze of lowlands held a lot of glacial meltwater during the last glacial maximum before letting it percolate out to the Columbia and the Sea of Cortez, but this “basin” probably averages more than 5000 feet above sea level and it is definitely arched in the middle. 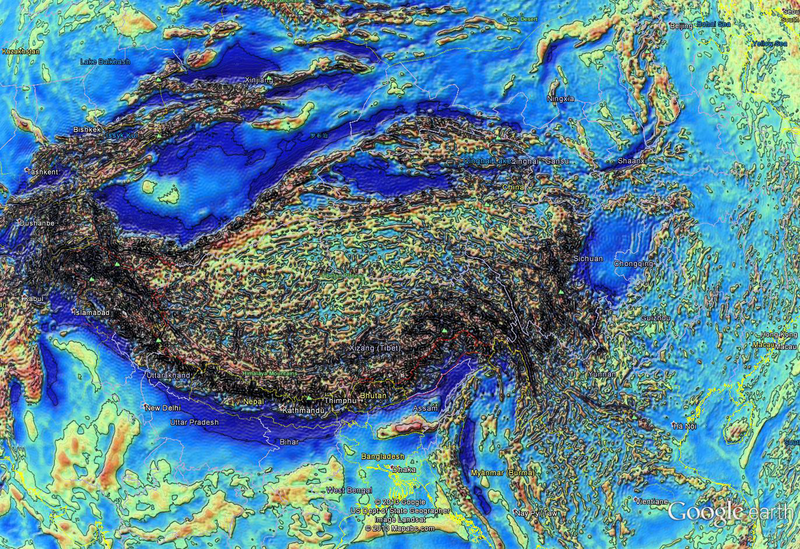 The gravity signal we propose defines the Great Basin as a heart shaped feature bounded clockwise by the Sierra batholith, the Snake River “Hot Spot” volcanics, the Wasatch Front, the Colorado Plateau, and I would argue the Salinian/Transverse Ranges. This definition would include the Mojave Desert even though this province is far more granitic. The signature is textured, often linear high gravity “horsts” interspersed with low gravity “grabens”. This poses an interesting question because if we take the conventional view that an even crust was uplifted and stretched, it is not clear why the horsts should float any higher on the mantle. The answer must be that the crust was not even and the horsts are toy sailboats with keels of more fractionated material. Very few places on earth bear this signature. One rather nearby is the Canadian Cordillera. 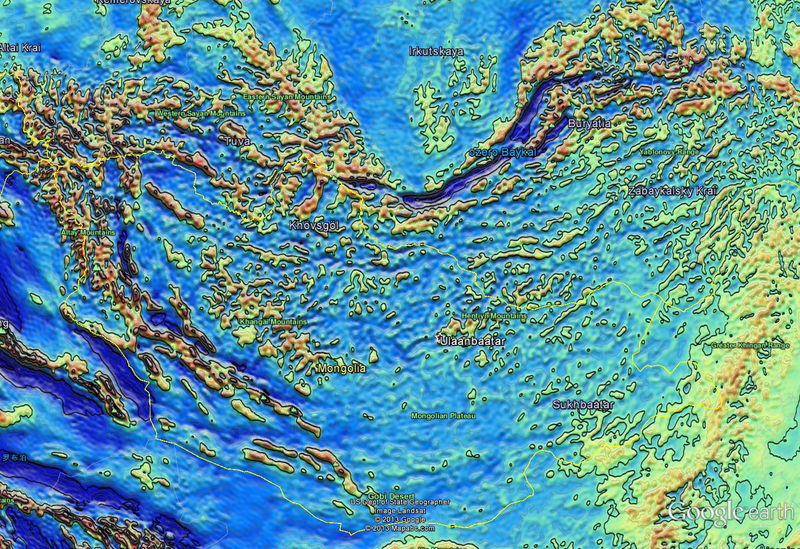 This region is not commonly thought of as extensional, but the paleomagnetism does not match the geology for western North America and it seems reasonable to suppose that complex dextral movement has taken place further inland, possibly involving the prominent linear gravity low along the Proterozoic continental margin. Another such area is greater Mongolia. Here, possibly as a result of the impact of India, rotational extension below the Baikal rift zone has created a similar signature. Yet another area is the Tibetan Plateau. It is nearly heresy to suggest extension here, and indeed the compressional areas are very clear, reading as black. 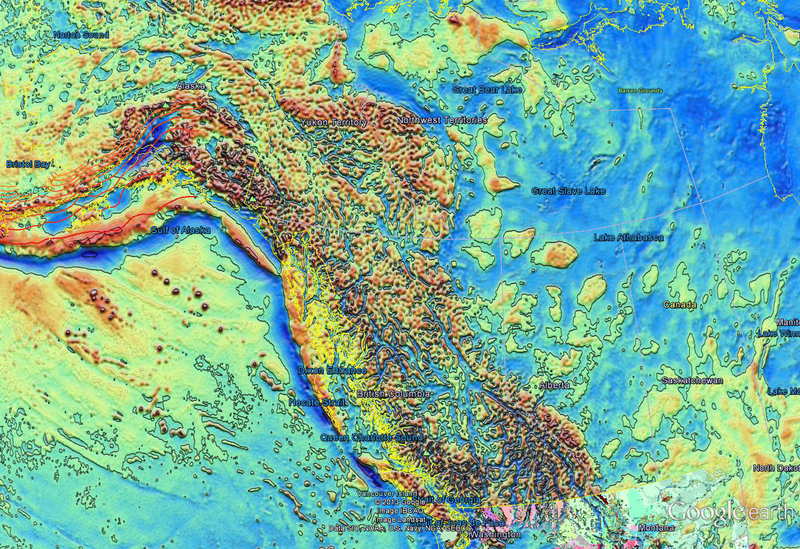 Nevertheless, the plateau and large areas of Malaysia and Southern China show the distinctive pattern. Finally, let’s look at the African rift zone. 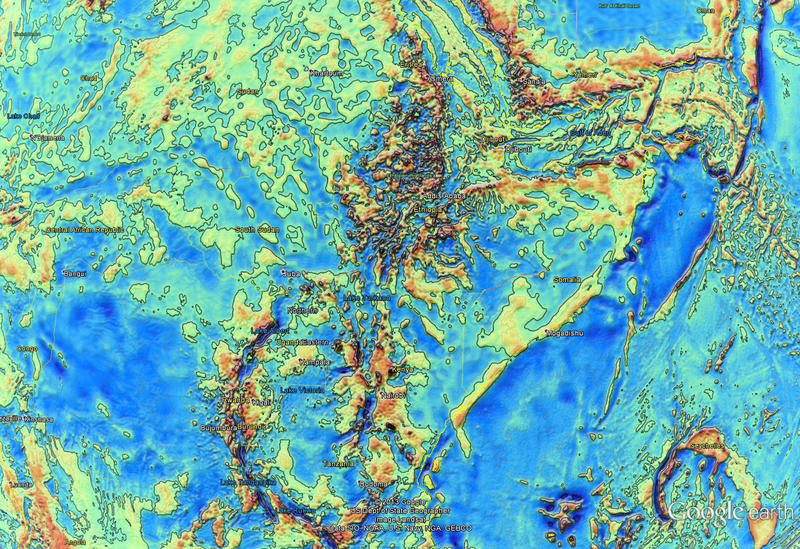 It is interesting that the pattern here seems restricted to the highlands of Ethiopia and the more famous mountainous areas further south seem very different. 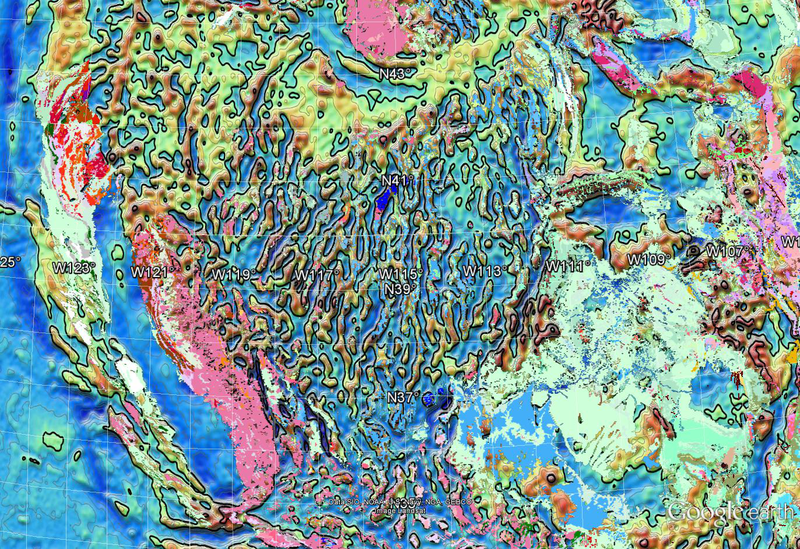 This entry was posted in Geography, Geoid, Geology, Gravity Anomalies, Plate Tectonics and tagged Colorado Plateau, Great Basin, India, Mojave Desert, Tibetan Plateau, United States, Wasatch Front, Western United States. Bookmark the permalink.